It is all the rage. 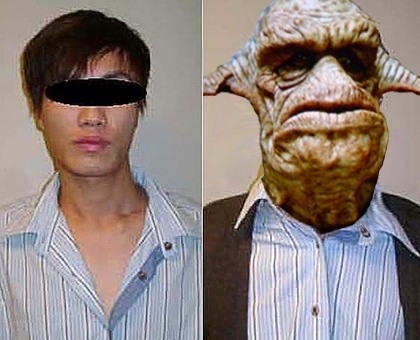 An ‘asian’ youth from the PRC snuck onto a plane headed to Canada with an Aeroplan card and rubber mask. Presently he is seeking asylum from China because we know that special effects make-up artists are persecuted terribly in that country. In fact the secret identity was so good he was only detected when he pulled his face off in the economy section. Below is a picture showing the incredible detail of the mask and one can see how easily he could have fooled even the most expensive security service. More.